It’s probably the most exclusive picnic in town, nay, the world. 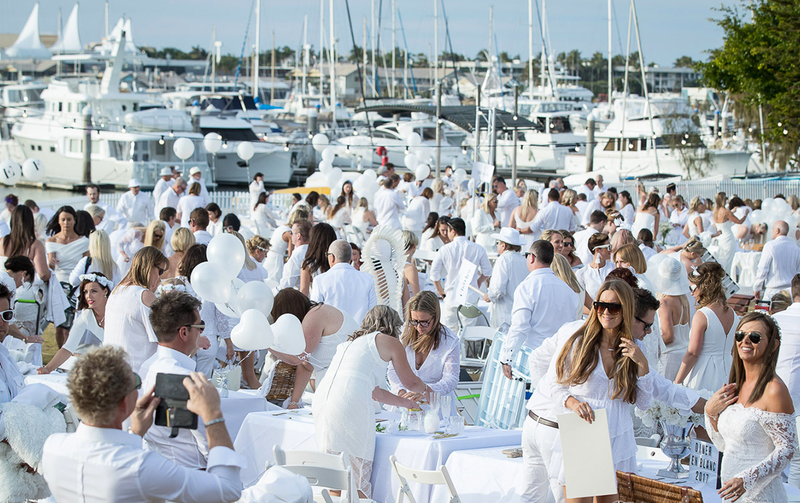 Le Dîner en Blanc, Paris’ cult ‘White Dinner’, is back this October on the Gold Coast for its second year running. Cue the mass squeals! If you haven’t been to one of these truly magical dinners before then you’re in for a treat. But first of all, we have a seriously (white) hot tip for you—register for tickets now! The event has become a global phenomenon over the years so tickets for this baby will go fast. Last year’s inaugural très chic picnic attracted over 1,100 cultural enthusiasts for a memorable evening at the Jack Gordon Park, this year they’re upping the guest list to 1,500. Registration to participate in this unique experience happens in three stages: Phase 1 is for members from the previous year; Phase 2 is for new members who are referred by Phase 1 attendees; Phase 3 is for people who signed up on the waiting. People wanting to be part of this unique experience can sign up to the waiting list here. Still not really sure what the heck we’re gushing about? Let us explain. Diner en Blanc will see hundreds of diners descend upon a secret-squirrel location, which is revealed only hours before the event. 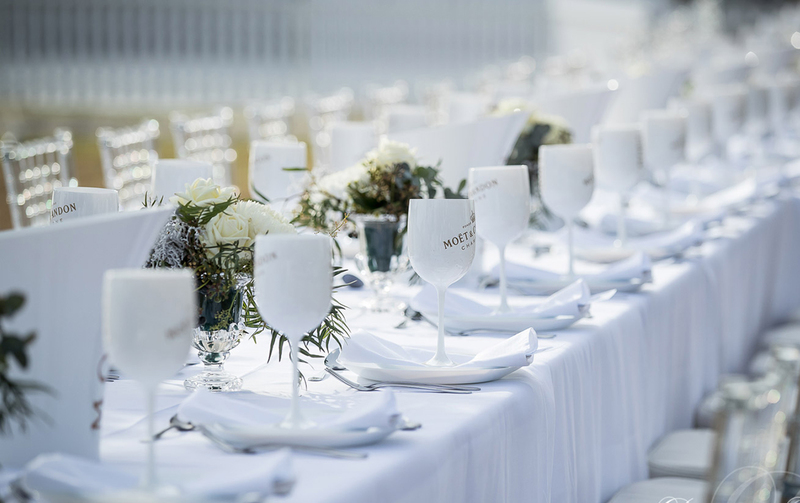 To uphold Diner en Blanc tradition, guests are asked to wear head-to-toe white attire with an elegant dress code. You’re also required to bring your own portable tables, white chairs, white table linens, tableware (no paper plates here!) and a gourmet meal. You’ll also have the option to pre-purchase a gourmet picnic. What would we bring? #allofthecheese, naturally. The soiree begins after the traditional waving of the cloth napkin and from then on, it’s time to pop the champers (which you can pre order from the team at Diner en Blac), feast picnic-style and, as darkness falls, light the sparklers and party on to live music under the stars. Diner en Blanc began in Paris in 1988 when Francois Pasquier, returning from a long stay abroad, had the idea to gather friends for a picnic. As the number of guests grew, he decided to hold the dinner in a public space and ask everyone to dress in all white to easily recognise one another. More than 25 years later, over 10,000 Parisians participate each year. In 2009, the first ever export of Diner en Blanc took place in Montreal, followed by New York City in 2011. Diner en Blanc is now held in 60 cities in over 25 countries with more than 100,000 annual guests. 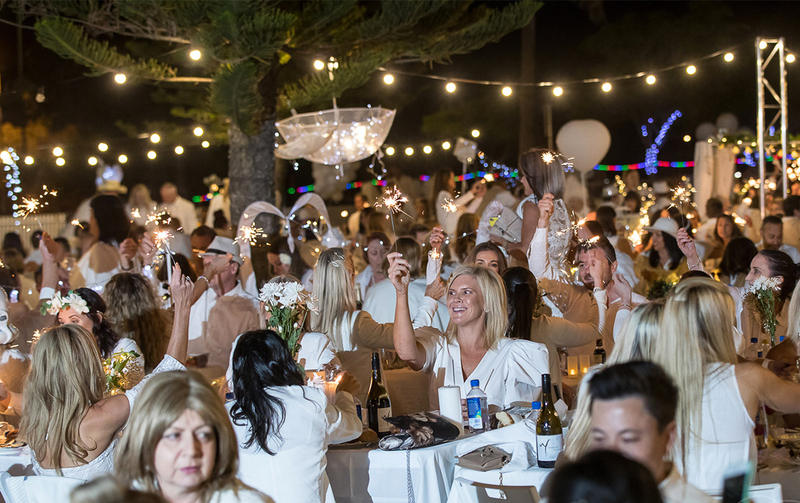 There were more than 20,000 people on waitlists for recent Diner en Blanc events in the capital cities, showing just how popular this event has become in Australia. And now Gold Coast, it’s our turn. How freakin’ lucky are we?! Looking for more awesome events coming for the Coast? Check out this awesome beer festival.